As The Hunger Games devours the competition at the box office, let's look back at five forgotten characters that battled the post-apocalyptic era on the big screen. Selena from 28 Days Later (Naomie Harris): Harris may be gearing up for her upcoming role as a Bond girl in next year’s Skyfall, but I’ll always know Harris from her breakout role as one of the lone survivors in this rabid outbreak movie. Who can hate on a woman who knows how to protect herself, and stop the breath of any attacker—man, woman, or other—in less than a heartbeat? I’d want her in our survival crew. 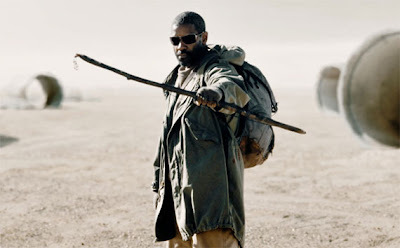 Eli from The Book of Eli (Denzel Washington): Although the movie itself is divisive among fans, there’s no denying that Washington’s Eli is someone you’d like to have on your side in case the world comes to an end. Fully equipped to take on a group of bad guys in the middle of nowhere, Eli was slick, resourceful, and rarely broke a sweat. And he was blind. Morpheus from The Matrix (Laurence Fishburne): Easily one of the coolest dudes to grace the big screen, Morpheus, captain of the Nebuchadnezzar, captured audiences as the man who first rescued introduced Neo (Keanu Reeves) to the Matrix. Decked out in a shiny long black trench coat, the flyest sunglasses ever, slinging a samurai sword, Morpheus is not only one of the smartest and most memorable characters in the film, but he’s also one of the most fashionable characters of all time. Who didn’t want to steal his style? Rue from The Hunger Games (Amandla Stenberg): Don’t be fooled by her innocent face and small stature. 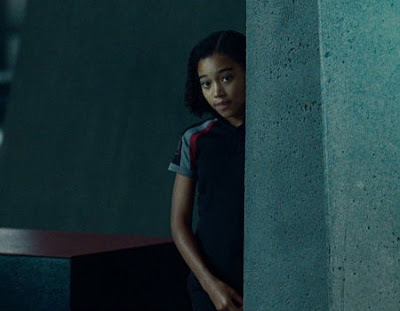 This cute twelve-year-old has the smarts to keep her blood thirsty attackers at bay even as the youngest character to contend in the deadly Hunger Games. Don’t let her release a nest of lethal wasps on you; they’ll stop you right in your tracks and you’ll be exactly where she wants you—dead. 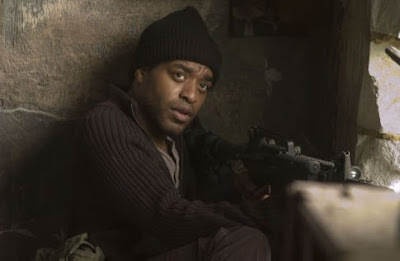 Luke from Children of Men (Chiwetel Ejiofor): Who knew that one little—unborn—baby would incite a man to wreak so much havoc in one place? Although Ejiofor’s Luke wasn’t the good guy in the movie, that didn’t make him any less interesting to watch as he shot down anyone he had to—including cops—in order to keep the last known baby on Earth in his possession. It was not a game. Rue made me cry in the Hunger Games! She is jut so precious. I love Children of Men and 28 Days Later, but man I hated The Book of Eli. Great list but I wouldn't say Morpheus is "forgotten". I'd replace him with Christian Bale or Emily Watson in "Equilibrium". Naomie Harris was just amazing in 28 days later, ditto for Chiwetel Ejiofor in Children of Men, my favorites of those listed. I'd like to add Keith David to the list for his performance in They Live or The Thing. A big YES to this list. 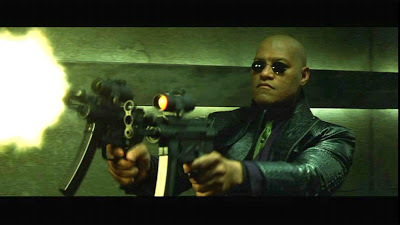 Great list but I definitely won't ever forget Morpheus. YES to Sati for suggesting both Bale and Emma in Equilibrium, I absolutely LOVE that movie, sooo underrated.